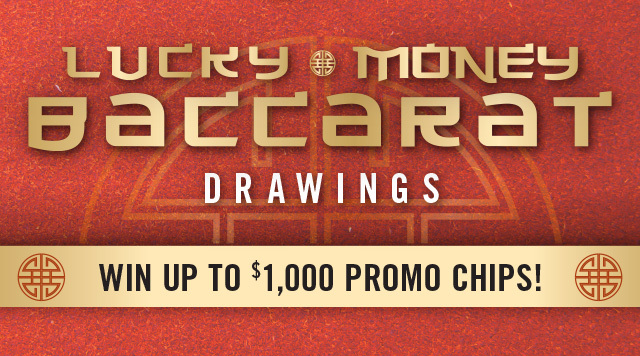 WIN UP TO $1,000 PROMO CHIPS SUNDAYS IN APRIL & MAY! Earn 1 entry for every 2 hours of Mini Baccarat or Midi Baccarat play from 4:00am, Mondays – 8:00pm, Sundays. 4 winners of $250 PROMO CHIPS! 12 winners of $1,000 PROMO CHIPS! Must be present to win. Entries do not roll over each week. All entries count for the Memorial Day Celebration Drawing. See B Connected for complete rules and details. Management reserves all rights.